A perfectly matched powder from our R&D team at Vihtavuori. Thanks to input and requests from our customers, Vihtavuori is pleased to introduce the latest addition to our N500 series of High Energy powders; the N565. Designed to fill the gap between Vihtavuori N560 and N570 high energy rifle powders, the N565 was created specifically for the ..338 Lapua Magnum with 250 gr bullets. In addition to a precisely tailored burn rate, this powder is extremely temperature stable, giving uniform results across a wide range of environments. We’ve also incorporated improved hygroscopic stability and our new decoppering agent to ensure a cleaner barrel when shooting. N565 is also REACH compliant without DNT or phthalates. Physically, N565 grains have the same size as those of the N560 powder. As all Vihtavuori powders, it flows smoothly through powder measures and ensures good loadability and uniformity. The burn rate of the powder is a bit closer to N570, roughly splitting the difference between the two. Vihtavuori N565 is a single perforated extruded powder, having a bulk density of 960 g/l and an energy content of 4000 J/g. While N565 was developed specifically for military sniping applications, it also has a wide range of sporting uses, particularly within long range shooting. The N565 will prove to be an ideal choice for calibers such as the 7mm Rem. Magnum, the .30-06, .300 Win Mag, .300 Norma Mag as well as the .338 Norma Mag. The Vihtavuori N100 powders are primarily rifle powders with different burning rates to optimize your loads. Currently, Vihtavuori offers ten N100 powders as well as the 24N41 / 20N29 for the .50 BMG case. The N110 is Vihtavuori's fastest burning powder suitable for small rifle cartridges such as the .22 Hornet and .30 Carbine, but also well suited to many of the more powerful Magnum handgun rounds. It is particularly applicable for the .44 Rem Magnum, .454 Casull, .500 S&W Mag and similar high-performance revolver cartridges. Vihtavuori N120 is a well-balanced powder specifically for some of the intermediate cases such as the ..300 Blackout and 7.62x39. It operates best at a somewhat higher pressure than the faster N110 rifle powder, and gives good results in a variety of the small to mid-capacity brass cases such as the .221 Rem. Fireball and .30-30 Win. Vihtavuori N130 is a fast-burning rifle powder well suited to both small cases like the .22 calibers and 6 mm PPCs, and large straight-walled cases such as the. 45-70 Govt and .458 Win Mag. N130 is also an excellent gunpowder choice for lighter bullets in such cartridges as the .222 Remington and .223 Remington. 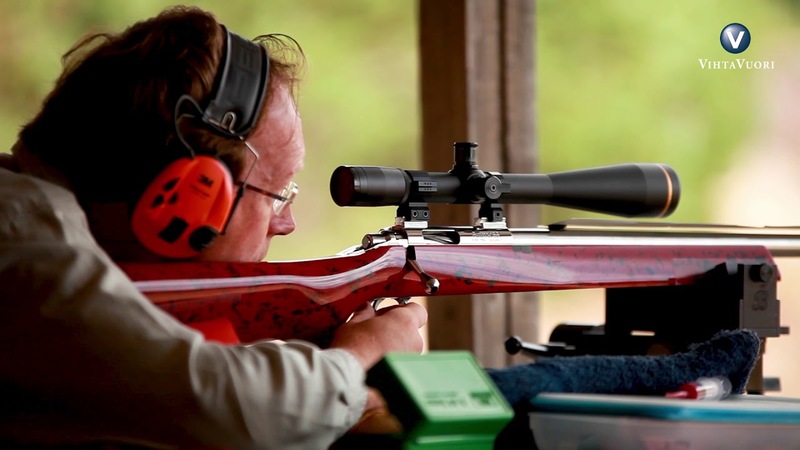 The legendary N133 is the preferred gunpowder choice of most leading benchrest competitors and standard rifle shooters. The N133 powder is ideally suited to the 6mm PPC, but it’s also versatile enough to serve in a wide variety of cartridges. It is a great choice especially for calibers where a relatively fast-burning powder is called for, ranging from the .222 Rem. to the .45-70 Govt. Vihtavuori N135 is a relatively fast rifle powder that delivers outstanding accuracy, velocity and consistent performance. This powder is an excellent choice for ..308 Winchester loads with bullet weights of less than 155 grains. The N135 is also well suited to cartridges like the 6 mm BR Norma, .222 and .223 Rem, as well as large straight-walled brass such as the .458 Win. Mag. An incredibly versatile powder, well suited to a wide range of calibers and bullet weights. From .223 Remington with heavy bullets to full-sized powerhouses like the .375 H&H Magnum, the Vihtavuori N140 is an ideal reloading powder choice. Giving good velocities, clean performance and exceptional stability, this is the standard go-to powder for a wide variety of cases. Vihtavuori N150 rifle powder is a slow burning powder, well suited to most common mid-sized cartridges when used with heavier bullets in accuracy and hunting loads. N150 is an excellent choice for 185-220 grain bullets in the .30-06, 140-160 grain bullets in the 6.5x55, and 175-200 grain bullets in the .308 Win. This is a slow-burning powder well suited to a broad range of Magnum calibers, and large capacity/small bore cartridges like the 6.5-284 Norma. It is an ideal powder when used with the 270 Win, .25-06 Rem and a variety of belted Magnums. An excellent choice for lighter to mid-weight bullets in these cartridges. This is a very slow burning powder, making it a superior choice for the same range of cartridges as with the Vihtavuori N160 when using heavier bullets. The N165 powder delivers superb accuracy with heavy bullets in calibers ranging from 6,5x55 SE to .416 Rigby, and is a top choice for the .338 Lapua Magnum. The N170 is Vihtavuori's slowest burning N100 series powder, recommended for the very large capacity cases such as the .300 Weatherby Mag. and the .300 Rem Ultra Mag. Vihtavuori N170 is one of the slowest canister-grade powders readily available from any manufacturer. These are single-based treated powders, having very large grain size and extremely slow burning rates ideally suited to the ..50 BMG. They also have some application in a few other very large capacity cases, such as the .338 Lapua Magnum and the .30-378 Weatherby Magnum. Vihtavuori N310 is an extremely fast-burning pistol powder, ideally suited to light, target type loads. It gives outstanding accuracy in a wide range of cartridges from the .32 S&W Long to .45 ACP wadcutter loadings. Clean burning, consistent and easy to load, Vihtavuori N310 is the top choice for the competitive Bullseye pistol shooter. Vihtavuori N320 handgun powder is a fast-burning powder for use in light to mid-range target loads, in cartridges ranging from the 9 mm and .38 Special, up to the .44 Special and 45 ACP. It's capable of producing higher velocities at acceptable pressures than the N310, and it provides the handloader a bit more versatility at the loading bench. N330 handgun powder provides a wide range of latitude for the handgun shooter, serving well for everything from light target to heavier high-velocity loadings. This is a versatile powder suitable for an exceptionally broad range of applications, especially designed for 9 mm Luger but also suitable for .38 Special, .40 S&W, .44 S&W Special and .45 Colt. Vihtavuori's N340 is a flexible powder that serves well in medium to heavy high-velocity handgun loadings. N340 is a good performer in high intensity rounds like the .357 and ..44 Magnums, the 40 S&W and the .357 SIG cartridges. Vihtavuori N350 is the slowest in the N300 series of handgun powders. It is ideal for very heavy loadings, and top end velocities and energies from a broad range of pistol and revolver cartridges. It is very well suited to loading powerful rounds for example in calibers 9 mm Luger, 10 mm AUTO and .45 ACP. Originally developed as a powder for loading .22 rimfire cartridges, Vihtavuori 3N37 has a burn rate very similar to N350, and can be used for many of the same applications. As handgun shooters began to experiment loading with 3N37, they found that this fine-grained powder loaded evenly through measures and gave excellent results from a range of competitive cartridges used for USPSA and IPSC practical shooting disciplines. The 3N38 is a specialized powder designed specifically for competitive handgun shooting with high-velocity loads in the 9mm and .40 S&W cartridges. A relatively slow-burning powder, 3N38 is a perfect choice for making Major with good accuracy and the clean-burning characteristics for which Vihtavuori is renowned. N105 Super Magnum is Vihtavuori's slowest burning pistol powder, intended for the most powerful handgun cartridges in use today, particularly with heavy bullets and/or large case volume. Many of these specialized rounds operate at rifle pressures. Delivering this type of shooting performance is precisely what prompted the development of N105. For such powerhouse calibers as the .454 Casull or .500 S&W, N105 is an excellent reloading powder choice. The N500 series of Vihtavuori propellants provide the utmost in performance for added velocity and range with heavy bullets. Nitroglycerine has been added to the traditional single base rifle powder to get better energy content. The series offers six different reloading powders with different burning rates, suitable for a variety of shooting disciplines such as long range target shooting. The fastest of Vihtavuori's N500 High Energy series, the N530 is an ideal reloading powder for many of the smaller bottlenecked cases like the .223/5.56, or large straight-walled cases such as the .45-70 Springfield. It is also a useful powder for medium capacity cases like the .308 Winchester when using lighter weight bullets of 155 grains or less. Vihtavuori N540 is a mid-range powder in the N500 series, and an excellent choice for cartridges running from the .223/5.56mm, .308 Win. and .30-06 Springfield with appropriate bullet weights. This is also a great powder for 6,5x47 Lapua and 6.5 Creedmoor as well as the .223 when using heavy bullets from 69 to 82 grains. It is exceptionally clean-burning and delivers outstanding accuracy. Vihtavuori's N550 high energy powder is a slower burning powder, very well suited to reloading a wide range of medium to large cartridges especially with heavier bullet weights. The N550 is an ideal fit for many of the 30 caliber magnums with lighter bullets, but also useful across a wide range of bore sizes in various shooting disciplines. Particularly well matched to heavy bullet loadings in the 6.5x55 and .30-06 Springfield cartridges. Vihtavuori N560 is a very slow-burning powder for large, magnum-style cases, particularly when heavy bullets and high velocities are required. It is well-suited for handloaders preferring calibers such as the .270 Win, 7 mm Remington or 7 mm Weatherby Magnum, .300 Winchester, RUM or Weatherby Magnum. This rifle powder is also very good choice for the .338 Lapua Magnum when using lighter bullets of 250 grains or less. Vihtavuori's N565 is a new N500 series powder developed specially for 250 grain bullet weight loads in .338 Lapua Magnum. N565 roughly splits the difference in burn-rate between the powders N560 and N570, but is a bit closer to N570. It will cover many of the same calibers and bullets as the first two, but allows the loader another option in fine-tuning a load to the perfect combination. While N565 was tailored specifically for military sniping applications, it also has a wide range of sport shooting uses, particularly within long range shooting. For the demanding handloader, the N565 will prove to be an ideal choice for calibers such as the 7mm Remington Magnum, the .30-06, .300 Win Mag, .300 Norma Mag as well as the .338 Norma Mag. Vihtavuori N570 high energy powder is the slowest burning member of the N500 line and a perfect choice for shooting disciplines requiring heavy bullets and the largest capacity cases. Its burn rate is very close to that of Vihtavuori N170 rifle powder, but will generally provide a bit more velocity in the same cartridges using the same bullet weights. The burn-rate characteristics of N570 allow it to deliver the very best possible performance from such cartridges as the 6.5x284, .300 Rem. Ultra Mag, and .338 Lapua Magnum.